Sudden mood changes, sleeping problems, restlessness, discomfort with dark corners and limited vision – such is the everyday existence for people suffering from dementia. To make life easier for those affected, increasing numbers of homes for the elderly place their trust in Human Centric Lighting (HCL). Light not only verifiably improves wellbeing but actively contributes to moderating the fears of patients. This was also a recognised at the Bischof-Ketteler-Haus in Berlin, and TRILUX HCL systems are now used in the facility. 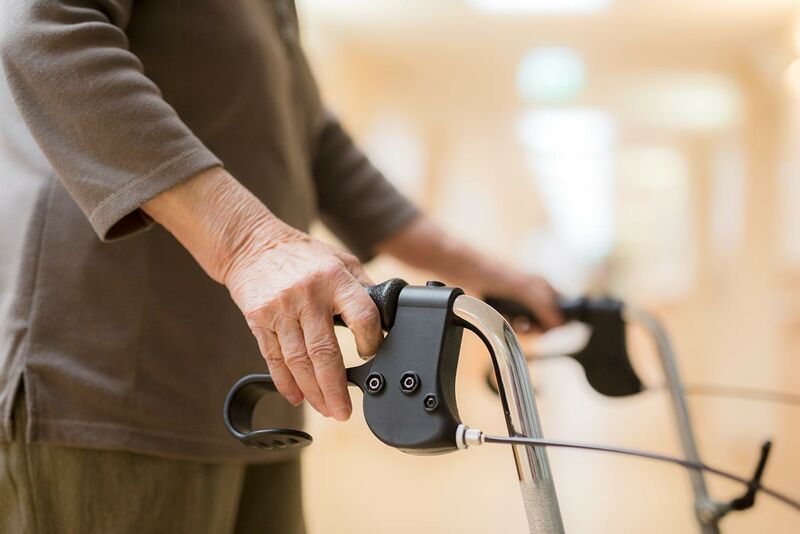 The nursing home for the elderly set itself the task of bringing back some quality of life to the everyday existence of the approximately 20 residents suffering from severe dementia. "Everyone visiting us for the first time notices how bright it is," explained the Director Britta Schmidt. The reason for this is that elderly people, independent of their illness, need more light intensity than young people due to limitation of the field of vision and clouding of the lens. Desired light intensity of 500 lux in the corridors is achieved with the Belviso LED, and its all-round light contour creates an unmistakable light appearance with a soft transition to the ceiling. A further benefit of the Belviso LED is that it blends harmoniously into the brightly designed corridors and emits completely glare-free and shadow-free light. "That was exceedingly important for us because it increases the sense of safety for residents when they walk along the corridors. The patients judge even the slightest shadows as insurmountable obstacles," said Britta Schmidt. For this reason the light, floor surfaces and colours and all materials used must be precisely matched and well-lit to avoid confusion and give a sense of security. 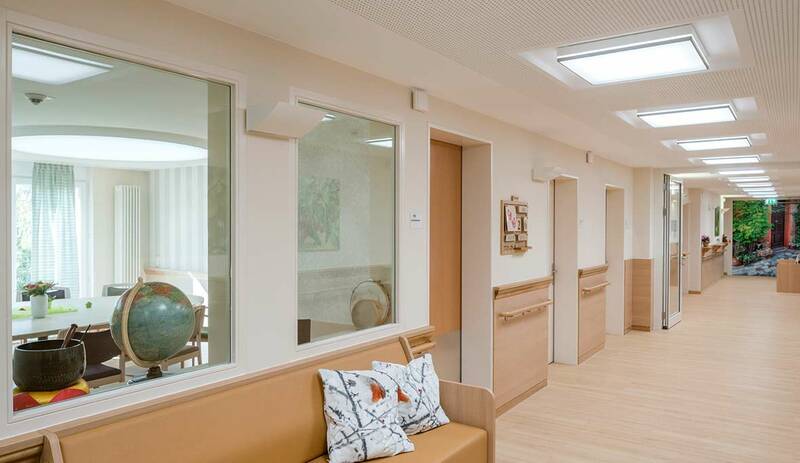 Life in old age: Human Centric Lighting strengthens the biological rhythm of dementia patients. 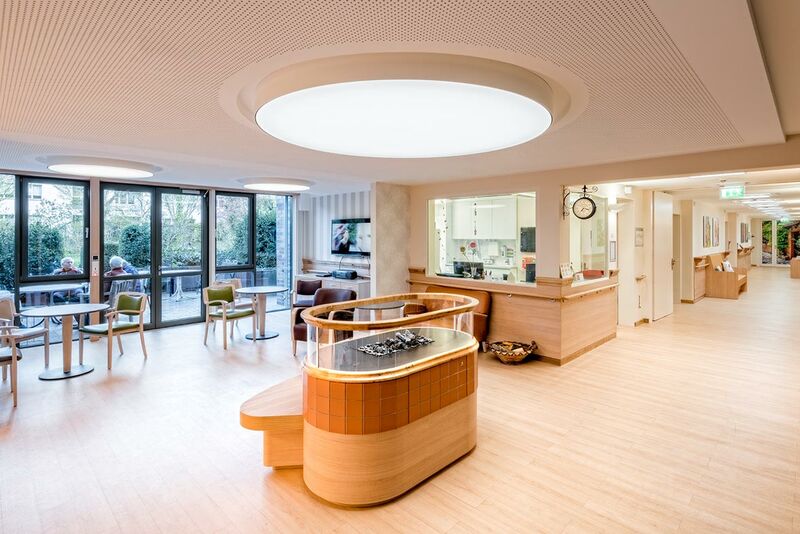 Copied from Nature: artificial light in the Bischof-Ketteler-Haus simulates the sun's circadian sequence. Sleeping disorders and restlessness are also daily symptoms of many patients. "We set ourselves the task of familiarising the residents to a normal day-night rhythm again because this often becomes unsynchronised. Practice shows that the new lighting in the corridors and relaxation areas does the patients a wealth of good," continued Britta Schmidt. HCL systems from TRILUX make an important contribution to this. With circadian lighting control of the luminaires the natural course of sunlight during the day is automatically simulated. This begins early in the morning with warm light of 2700 Kelvin in the lounge areas, simulating the natural colour temperature of sunshine and enabling a soft start to the day. Up to midday the blue component increases to around 6500 Kelvin and this has a stimulating effect on residents and also reduces a sense of lethargy associated with the illness. As a result the patients feel more awake and fitter for their nursing services and activities. In the evening the system returns to a warm colour temperature that has a calming effect and prepares the residents for their sleeping phase. In total, this circadian sequence consolidates the individual biological rhythm of each resident in the mid-term, allowing them to sleep better at night and be more active during the day. Several two-metre diameter Plenar light ceilings are the circadian source and an element of design at the same time. "This makes the room a place of wellbeing that's precisely adapted to the needs of our patients," said the pleased Director. Light in this application has a concise added value that far exceeds mere visual acuity. A sense of security: Belviso LED achieves shadow-free light in the corridors.